"If I could give Melissa with Knot Too Shabby Events 20 stars I would. 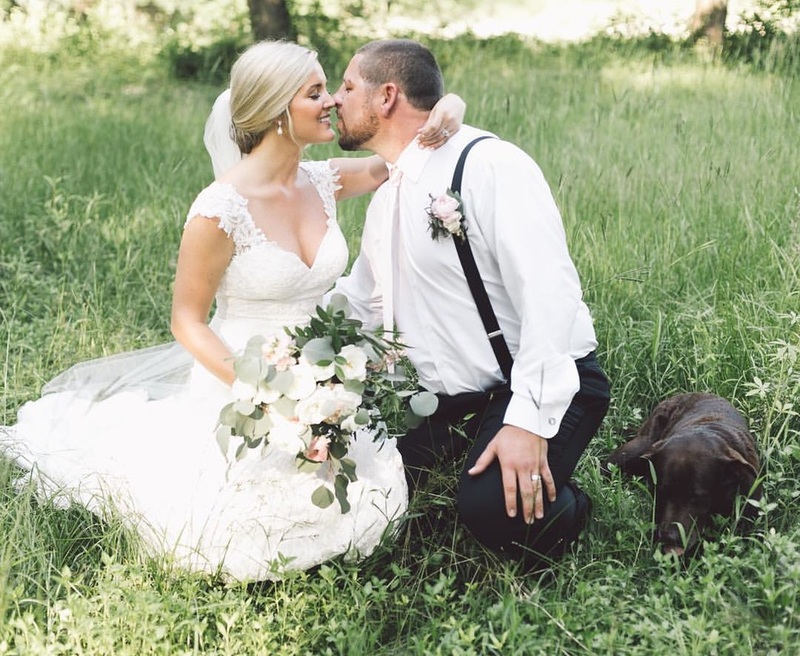 'Besides choosing to marry my groom, Melissa was the best decision I made with my wedding. She understood from the start what we wanted, what our vision was and steered us in the right direction each and every time. Not only did I know the reception was in good hands, but what Melissa produced took our breaths away. She took every ounce of worry away from us so we, along with our family, could truly enjoy the day. She made our intimate wedding of 19 feel like the grandest and most important event and for that, we are incredibly grateful. There is no one else I would've entrusted with the details of our day. She has an incredible, enthusiastic spirit and is a true PRO at what she does. Melissa is without a doubt the BEST." "Absolutely the best choice I made for my wedding (aside from my groom :-)). Melissa was such a sweet person to work with. She covered everything I could think of, and things I hadn't thought of. Great communication and attention to every detail. Our entire wedding planning experience and day of was enjoyable and stress free-yes, I said it...STRESS FREE wedding planning! I could not think of anything I would change. Our day was more than perfect and exceeded our expectations. Our friends and family still talk about how beautiful our event was, and how it was the perfect set up, timing, food and decor. She's certainly in the right business, as her passion for her work shows in everything she does. We're already planning our 1 year anniversary with her-and our friends and family are just as excited as we are. Highly recommend for anyone in need of event planning!" "I cannot say enough about how vital Melissa was to the wonderful success of the most amazing day I have ever had! Every single detail she had covered even when I changed plans more than a few times. I have never been more relaxed than I was on the day of my wedding because I knew that my wedding planner had everything under control. 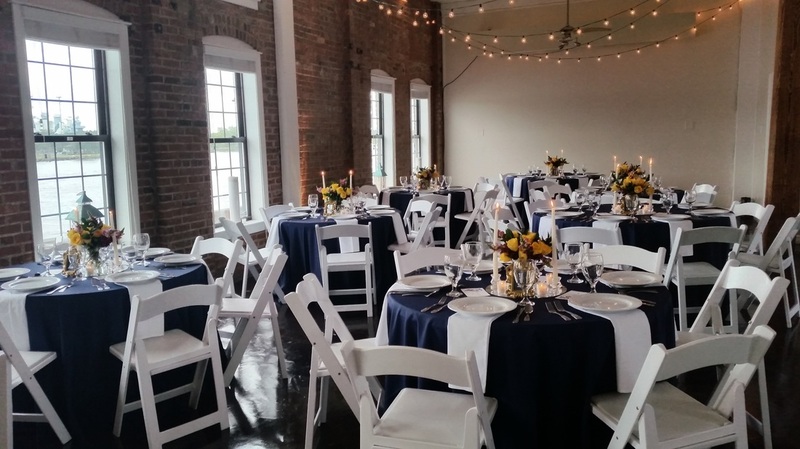 We were married at The RiverRoom in downtown Wilmington, NC and had our ceremony and reception at the same location. Although we tried to make things as simple as possible it was still a lot to do. We hired Melissa for the month of package and this covered all of our needs since I was doing a lot of the planning by myself but the last minute details I didn't even think about the month before the wedding Melissa covered them all. On the day of the wedding my MOH and I dropped off all of our decor and lists of where things went and when I came back in to our reception area the place took my breath away, it was SO much more than I had imagined and seeing it all come together so beautifully was worth more than what I paid for the service. The location had an awesome chalkboard bar that was so cool and in our rush, my MOH and I had scribbled the bar menu down on the chalkboard quickly and it looked junky, when I returned for our wedding it looked so much better and I was so glad they fixed our scribbles. When my maids and I were lining up my junior bridesmaid that was a last minute addition to the wedding party didn't have a bouquet and without hesitation my amazing wedding planner stepped in and gathered together a cute little arrangement from some flowers that were just laying around. Our wedding went off without a hitch and I owe it all to Melissa. She was worth SO much more than what we paid and I am beyond thankful for everything that she did for us on our wedding day. If you hire Melissa you will not regret it and your wedding is guaranteed to be more than you ever dreamed of!" 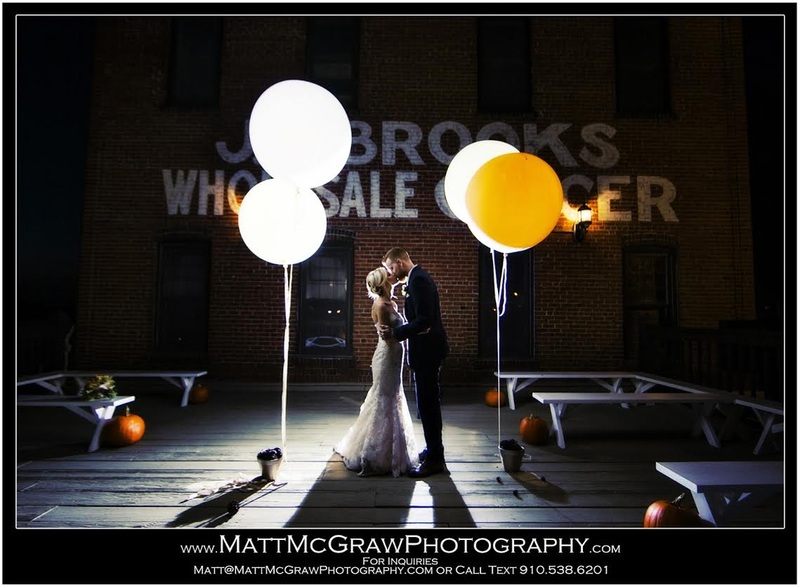 "Melissa was a complete lifesaver for my wedding! She did an incredible amount of work for a very reasonable fee. My wedding day was calm, smooth and successful because of Melissa. I came to her in the midst of a major wedding planning crisis, and she was able to help me find the resources I needed very quickly. 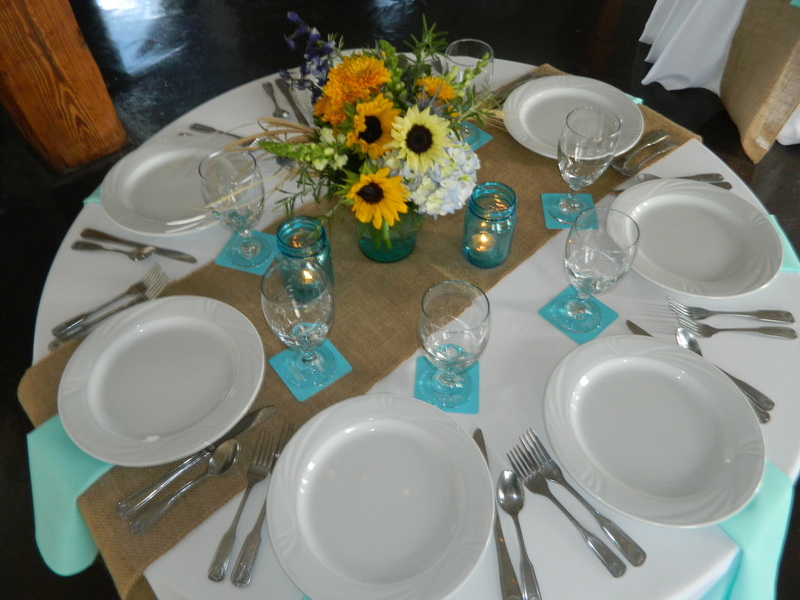 She was able to take my crazy, scattered style and design ideas and turn them into a beautiful wedding reception. I'm so thankful that she was able to be a part of my wedding!" "We hired Melissa for our "month"-of coordination for our May 3, 2014 wedding & (minus the groom) she was hands down the BEST decision we made for our wedding! Going into the planning/wedding process I had ideas of what I wanted as the vision for our wedding but had no idea exactly how to carry it out & if it all would look good together. Melissa has a knack for validating your ideas and making suggestions that add to it all in a way that makes you feel comfortable & excited for your own individual wedding. I have no idea how I would have stayed sane in the last couple days before & day of our wedding if it wasn't for the complete trust I had in Melissa & her ability to carry out our vision. And, man, did she deliver. Our wedding, and all the little details, were exactly what we wanted & extra!! Melissa took all the stress out of the final hours before & day of wedding & for that I am extremely thankful! 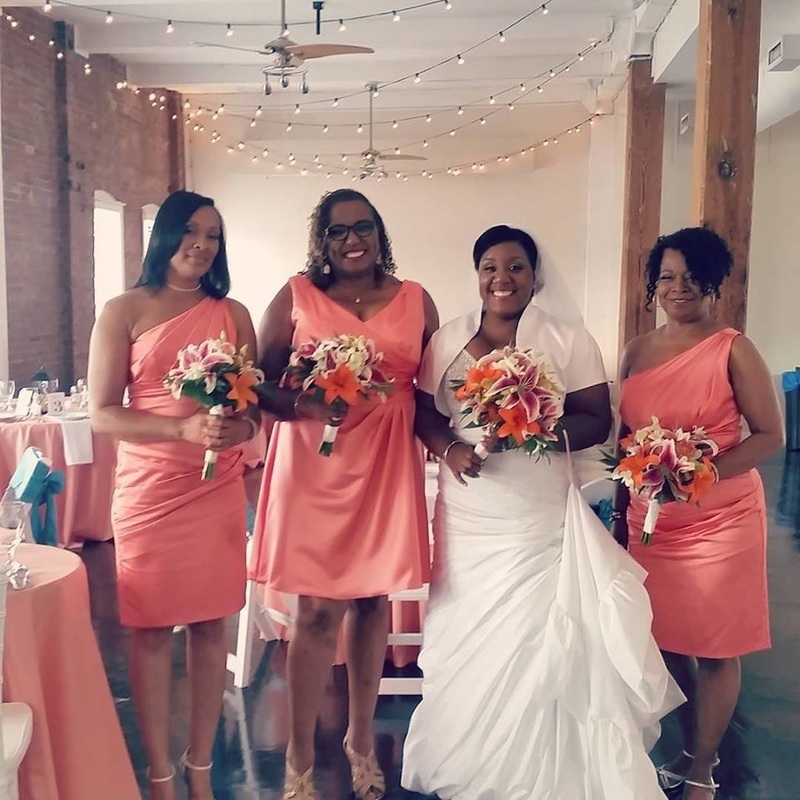 I had numerous family/friends that day of and post wedding raved about not only our beautiful wedding but our amazing, professional, and likable wedding planner, Melissa. On top of how great she was during the lead up to the wedding I must also rave about how great she was during the planning process. 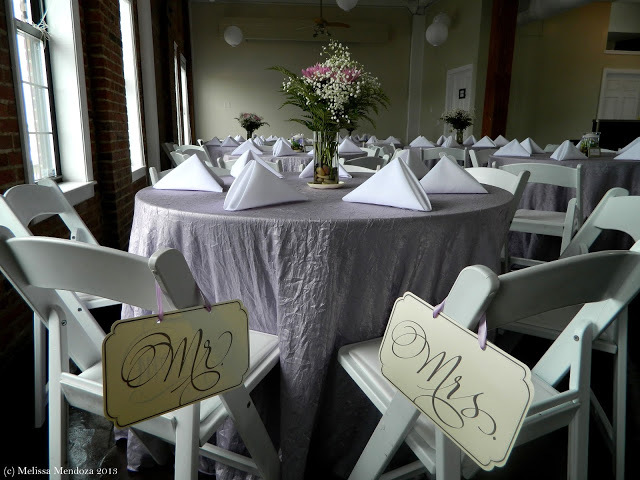 We got married at The RiverRoom, in downtown Wilmington, NC, but live in Charlotte, NC. Throughout our 9 month engagement Melissa was always extremely prompt, night or day, in getting back to my emails/calls & always made me feel like our wedding was the most important one to her at that moment (although obviously it wasn't haha), which, sure puts you at ease during such a stressful & exciting time in your life. If anyone is thinking about Melissa, for any wedding planning services, my suggestion would be DO IT!! You will not regret it & it will probably be one of the best decisions you make for your wedding:)"
"I told Melissa from our first phone conversation that my main goal was to have fun at my wedding. 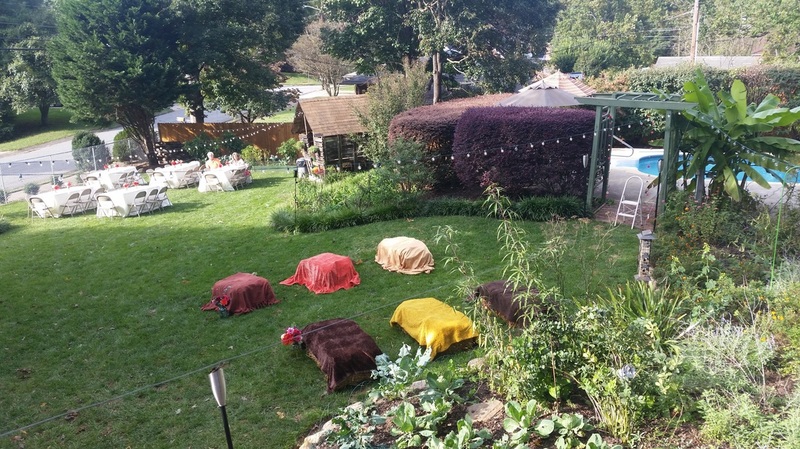 I plan events during the year, so I just wanted to show up relaxed instead of working hard at my own wedding. Melissa and her team made every step of the wedding flawless and easy. We live in a different state, so Melissa's knowledge of the vendors and the town were crucial. I cannot stress enough how professional her whole team was during the day of my wedding and how professional Melissa was while we were in the planning stages. We found Melissa online since we didn't know anyone in Wilmington and decided to talk to her mainly because her prices were right on her website. Thank goodness we booked her! She was a dream to work with and kept us both calm and happy in the planning stages as well as relaxed on the day of our wedding. I literally did not stress at all because I knew Melissa was going to handle it. The vendors she pointed us towards were incredible. People are still talking about the food, and we hardly had any leftovers. I am in love with my wedding photos, and the venue looked perfect because of the vendor Melissa recommended. My husband and I are incredibly frugal, but Melissa's services from Knot Too Shabby were worth every penny! Thanks, Melissa!" 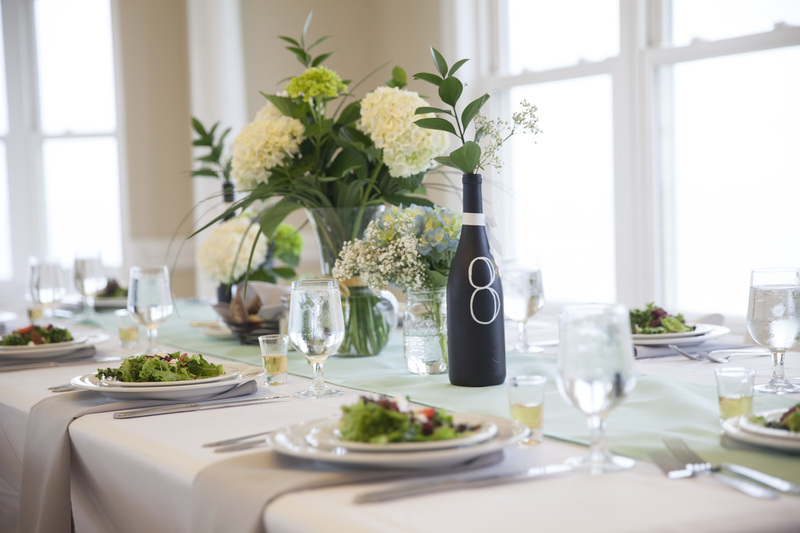 "Rule #1 of wedding planning: Hire a wedding planner/coordinator! Melissa was recommended to me from several people. I booked the "month of" package with her. Totally and 100% worth it! She has found her calling with event planning! She was super nice, professional and completely on top of her game! She thought of things that I never would have considered on my own. Our wedding day went off without a glitch! Highly recommend!!!" "Melissa was incredible. She is full of advise and ideas. She took the little bit I gave to her and ran with it. I walked in the morning of my bridesmaid brunch and was in complete shock over how beautiful she made the room look. After leaving to enjoy the day with my bridal party and returning for the rehearsal dinner Melissa had done it again. The room was transformed into the perfect atmosphere for us all to enjoy a beautiful relaxing evening together. All the vendors were coordinated without me having to make one phone call. I never even had to clean up a mess or pack a box up after either event. Melissa took care of everything including my bridal nerves! She is well worth the investment and in my opinion underpaid! It shows in her work and planning that she is experienced and loves what she is doing." "Melissa and her team did an awesome job at making our wedding day amazing and everything we could've ever wanted. Melissa was extremely pleasant and professional every time we met to plan and also on our big day. The Knot Too Shabby team went above and beyond for our wedding. We recommend them to everyone!" "Melissa was amazing and super helpful. She covered EVERYTHING that could possibly need attention from day 1!" "Melissa is a true professional who works with her clients from the initial meeting through and including the reception. There is literally no obstacle she can't overcome for her clients and she speaks in terms that are totally comprehensible to her clients. She possesses all of the key attributes of a planner: strategic planning, detail oriented, contingency plans at the ready and superior communication skills. 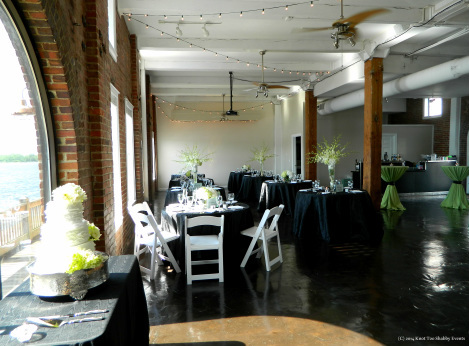 I highly recommend Knot Too Shabby Events if you are interested in planning an upcoming wedding." "A wedding planning gem... Melissa’s professionalism, expertise, and wide vision were key in the most enjoyable time of our lives. 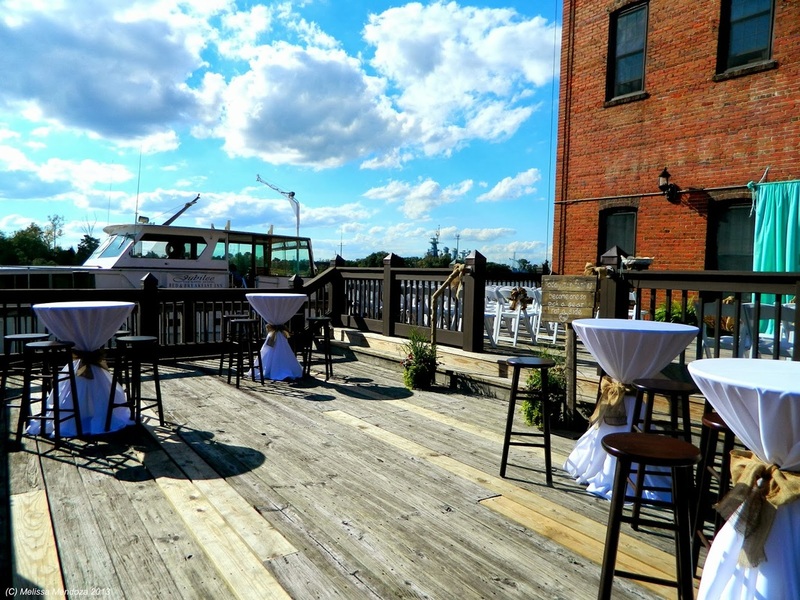 Even for our small wedding of 54 guests at The RiverRoom on July 3, 2015, we realized that it needs just as much work, if not more, than a larger wedding. From the beginning, she understood the big picture, listened to our needs, and offered amazing advice and alternatives. 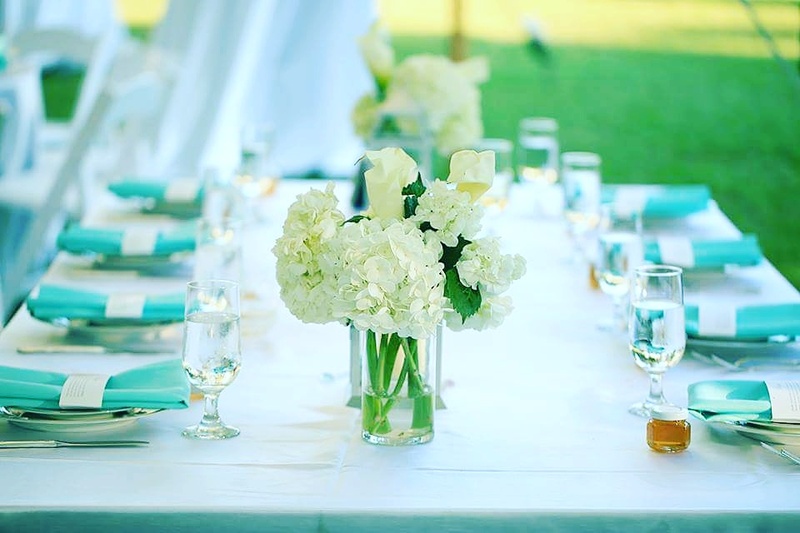 She is an expert planner who has plenty of ideas of her own, but always understands that this is your day and allows you to have your own opinion, which sets her apart as a true event planner vs just any other planner. Our wedding was a dream from beginning to end, without a single worry from our end. We were both completely relaxed, knowing Melissa would handle everything perfectly, which she did. Melissa, is a true gem. 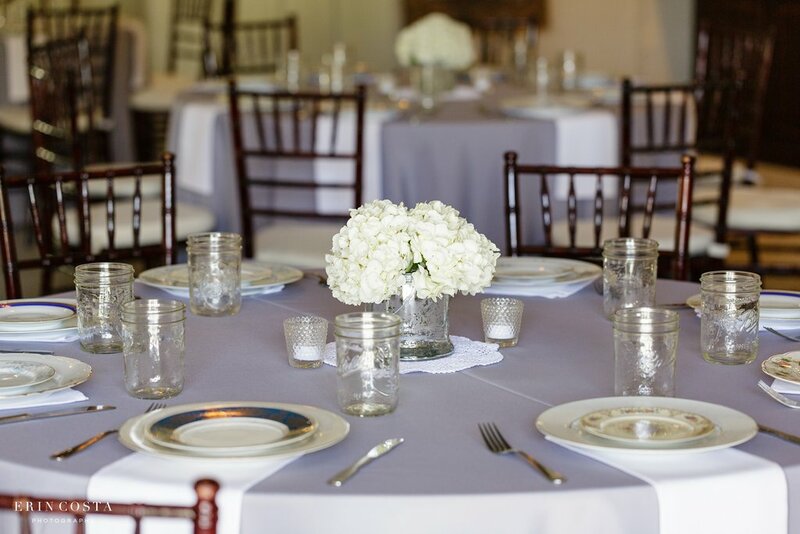 Her no-nonsense approach, tireless work ethic, and creativity will all come together to give you the best event or wedding you've ever dreamed- and beyond!” We highly recommend Knot Too Shabby Events. Thank you so much for everything!" "Melissa was the month-of coordinator for my husband Mike & I. She was available anytime I needed her via phone or email. There were a few times I felt overwhelmed, and she was always there to reassure me everything was going to work out. Our wedding day, April 5th, 2013 truly was the best day of my life!" 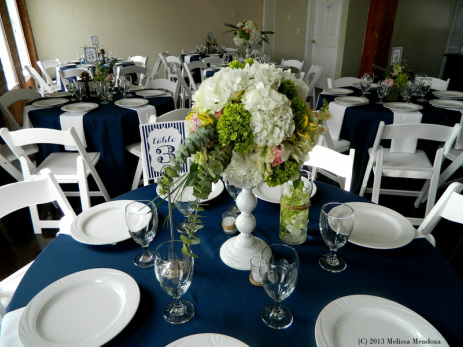 "Melissa Burton and Knot Too Shabby Events (KTSE) are TOP notch to say the LEAST!! If it were not for Melissa and KTSE my wedding would NOT have been possible!!!! My husband and I got married at Airlie Gardens and the venue required we hire a day of wedding coordinator for our wedding. 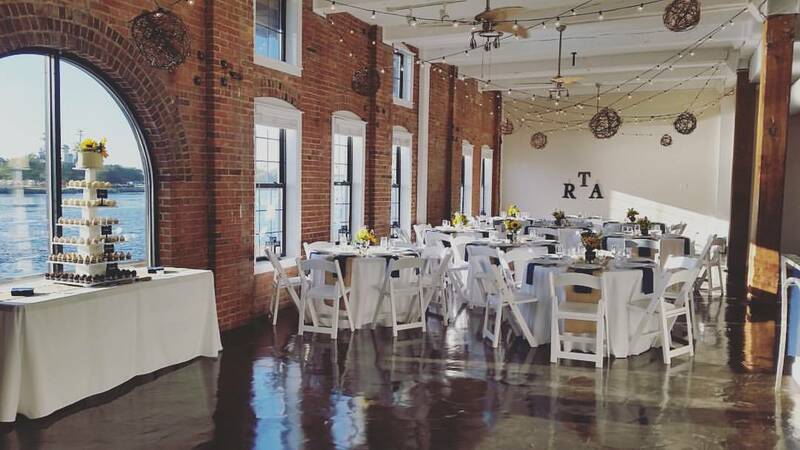 I did some research online for wedding/event coordinators and came upon KTSE. I was IMMEDIATELY impressed with her website and creative business name and I reached out regarding availability for services for our wedding day. NOT even 4 hours later, I had a response in my inbox from Melissa herself! We set up a sit down meeting and she had me asked me to fill out a details sheet online document about my wedding (set up, wedding style, vendors, etc) prior to our meeting which was extremely thorough. At our sit down meeting, I was impressed-- yet again-- with her professionalism, organization, and attention to detail. She had reviewed my detail sheet and was very informed on what I was looking for in our wedding and also what we were looking for in a coordinator. 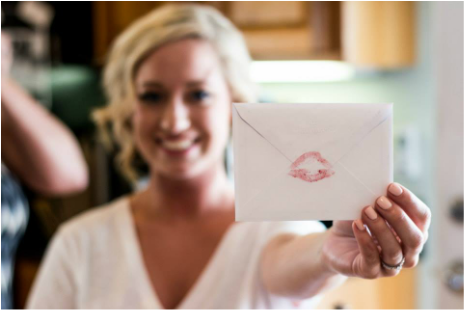 Melissa explained the services included in her "month of" package which was PERFECT for us and extremely helpful because the 30 days prior to your wedding is CRAZY and every couple needs help-- whether you believe it or not! The contract logistics and payment process with them was definitely one of the easiest out of all of our 12 wedding vendors! During the time leading up to the wedding, Melissa was ALWAYS responsive and helpful. If I needed anything she was ALWAYS there and always SUPER quick to respond! Our rehearsal and wedding day went of without a hitch! We had a TON of moving parts for our wedding and Melissa and her team made the process SEAMLESS!! Her organization and communication was ALWAYS way above par!! 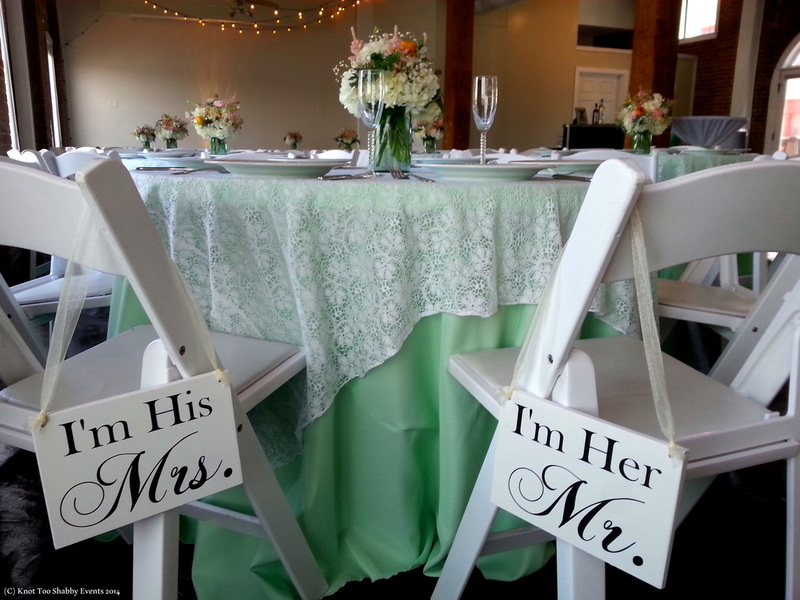 If you are a bride, groom, or couple who thinks they can do it all...guess what-- you can't! Stop what you are doing right now and contact KTSE-- you will be SO glad you did!!" "I hired Melissa as my "month of" coordinator last weekend for an engagement party that was actually a surprise wedding! It was something that was planned in a matter of weeks, so you can imagine how stressful the weeks prior to the event were. "Melissa was an absolute godsend. 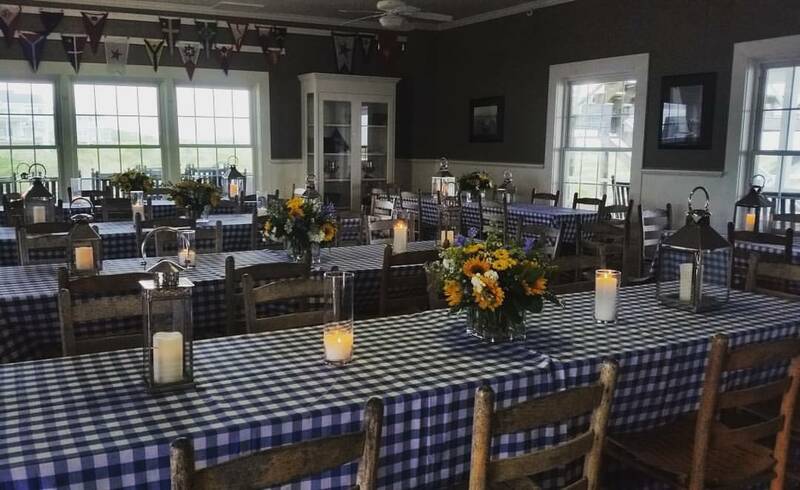 I was in charge of throwing a 120 person rehearsal dinner for my brother and his wife in Wrightsville Beach. Living in New York I had no way of organizing such a big event with only a month's notice From day one, Melissa was calm, intelligent, organized, available, and no request was too great or too small. She and her extremely professional team planned an extraordinary night -- they organized everything from the flowers, linens, lighting, caterers, a terrific band, and several personal touches like framed photos from my brother's childhood. 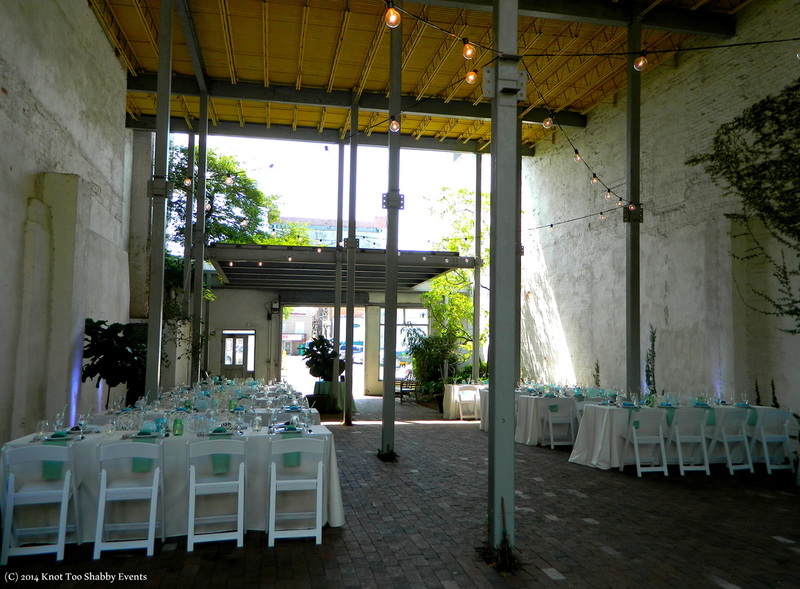 Even a last minute sudden venue change due to unusually cold weather didn't rattle her -- she and her team helped re-design the whole party layout in another building, and even found heat lamps with about six hours notice that arrived right on time. People who were familiar with the venue said they had never seen it look so beautiful. It was a night we will never forget. Most importantly, she made what could have been a stressful weekend a total joy." 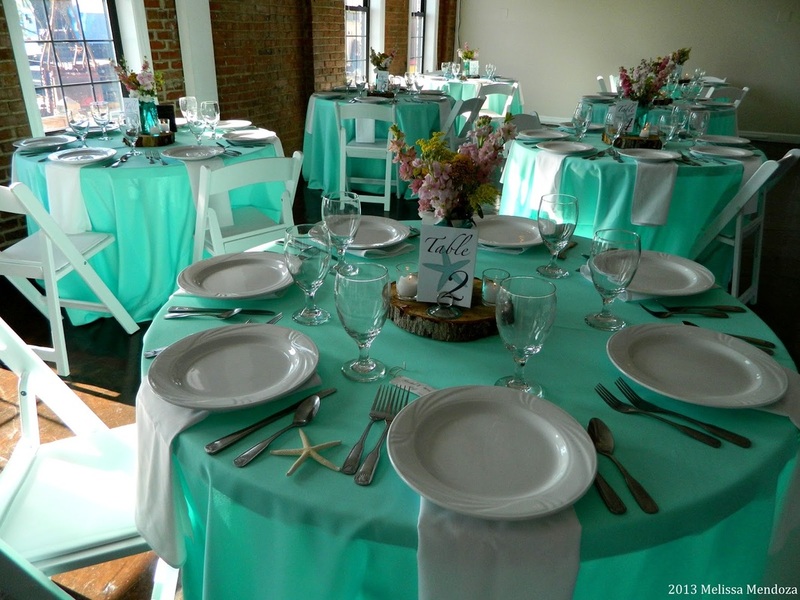 "Melissa provided "month" of coordination for my April 2014 wedding. I am so thankful we chose her! Pre-wedding discussions were collaborative, productive, and fun- it was like talking to your best friend while getting serious planning done at the same time! She organized our discussions in a way that absolutely nothing was missed, and every detail was captured on a shared document which I could add comments and questions to at any time. I really appreciated Melissa’s approach. She was very respectful of our vision so we could make the day exactly how we wanted, even if it wasn’t typical for a wedding, but she was always ready with excellent suggestions on anything we hadn’t thought of or couldn’t decide on (or disagreed on!). Throughout the process she was supportive and super enthusiastic and extremely organized. She is a busy woman but I always felt like I was her top priority! The day of, I didn’t have to worry about a single issue because she solved anything that came up (including tracking down pliers for my bustle!) My husband, my mom, and a friend all remarked after the fact “that would have been tough to pull off without Melissa!" I have to agree! Thanks so much Melissa." 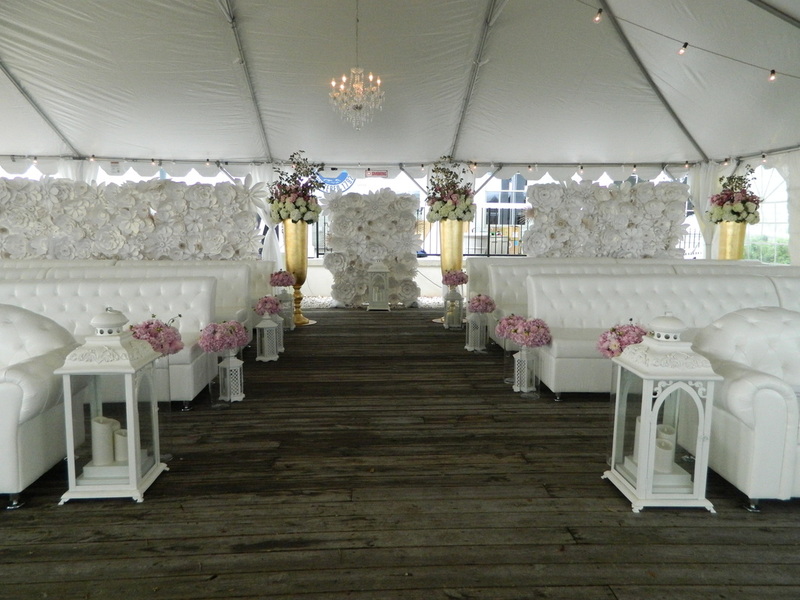 "Melissa and her team literally made our wedding what it was. From the very beginning she was extremely hands on, helpful, and attentive, despite only being our "month of" coordinator. She has a way of streamlining the process of wedding planning so that it is stress free and SO much fun! She always came to meetings with a game plan and any suggestions I may have needed, and was so helpful when I got stuck on something I wasn't quite sure how to pull off. Our wedding ended up being so beautiful and organized beyond my expectations. I literally gave them a pile of stuff to decorate with and what they did with everything was so creative and beautiful! The timeline was so streamlined and natural, everyone knew exactly where to be and when in a way that didn't seem at all rushed or scattered. We ended up being able to enjoy every second of it instead of worrying about the logistics. Melissa is so passionate and talented about the work that she does and it really shows through in the final product. She made our wedding day absolutely perfect and if you are on the fence about booking even a day-of coordinator (& trust me you NEED one) she is hands down the best decision you will make!" "We hired Melissa as our "month of" coordinator, and it was one if the best decisions we made! Melissa was very helpful and was always there to answer any of my questions at anytime! She had amazing suggestions and paid attention to the small details. She added touches of her own, and in the end was able to take my ideas for our big day and turn them into a reality! 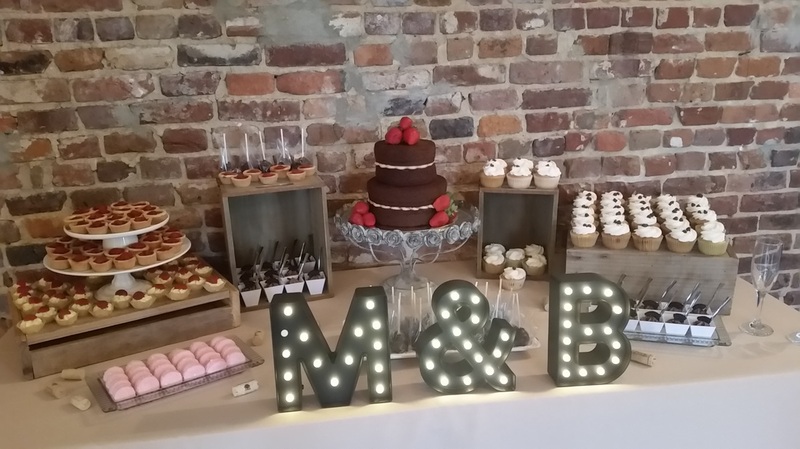 We couldn't have asked for more and we definitely recommend Melissa for your wedding!!" "Melissa was very helpful. She was easy to get in touch with and always had answers to my questions! She made my wedding day relaxed and perfect." "Melissa coordinated our wedding last year, and put simply she was a life saver. She cared about the success of our wedding so much it was obvious to me that it was more than just a job. Neither my wife nor I lived in Wilmington and that made it very difficult. Melissa made it easy. She's the best!" 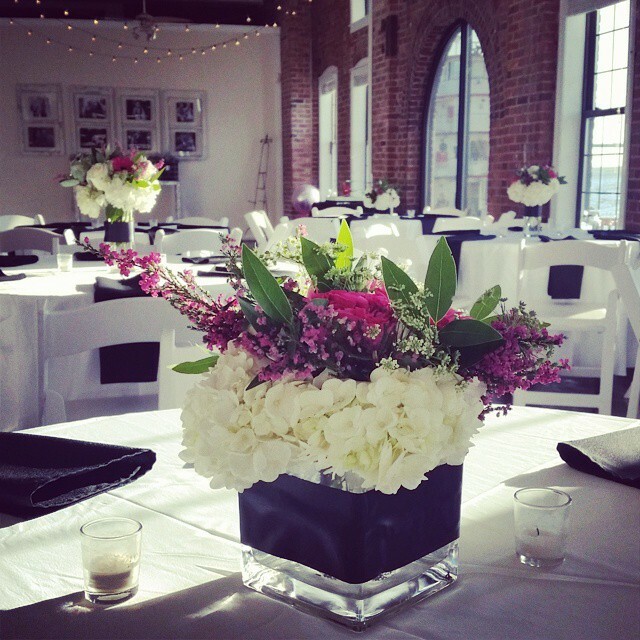 "Melissa was the planner for our reception, and every detail was exactly as we hoped. She is professional and had numerous suggestions for vendors and schedule that made our wedding day incredibly easy. Of all the vendors needed to make a wedding day happen, in retrospect the planner is probably the most critical - she was on top of every detail so we could enjoy our day. 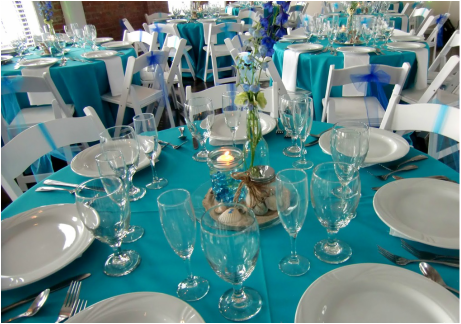 Melissa is fantastic, I would highly recommend her to anyone planning a wedding in Wilmington." 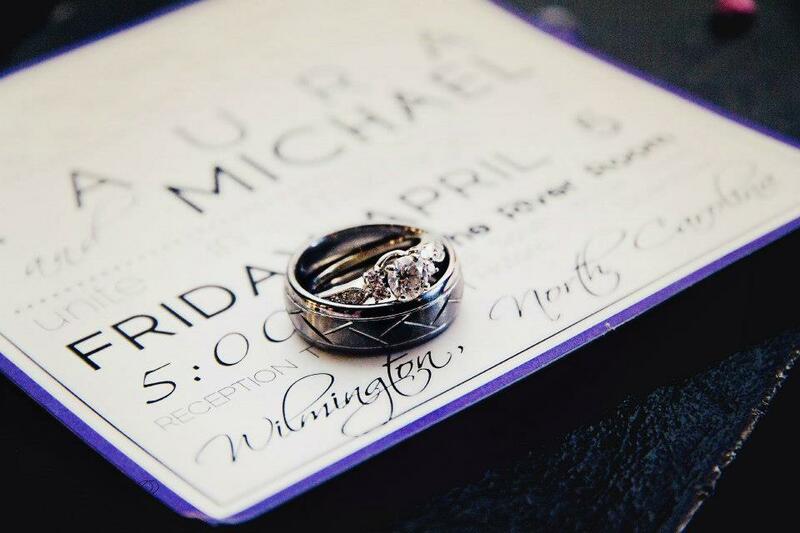 "Melissa was absolutely amazing throughout the process of planning my wedding! I hired her to be my "month"-of coordinator, which she did perfectly, but she did so much more! She helped me find vendors, gave me suggestions on how to set up the ceremony and reception, and gave me all the other essential information that I needed to ensure that my wedding day would be perfect. Melissa met with me and my then fiancé several times during the planning process. She always managed to make us feel relaxed and confident in our planning. When it came to the big day, she was wonderful! My grandma, mother, and family friend arrived very early (earlier than planned) and Melissa was there ready to help. During the ceremony, cocktail hour, and reception, I did not worry about a thing! She was so on top of everything!! Many of my guest commented on how sweet and organized Melissa was! 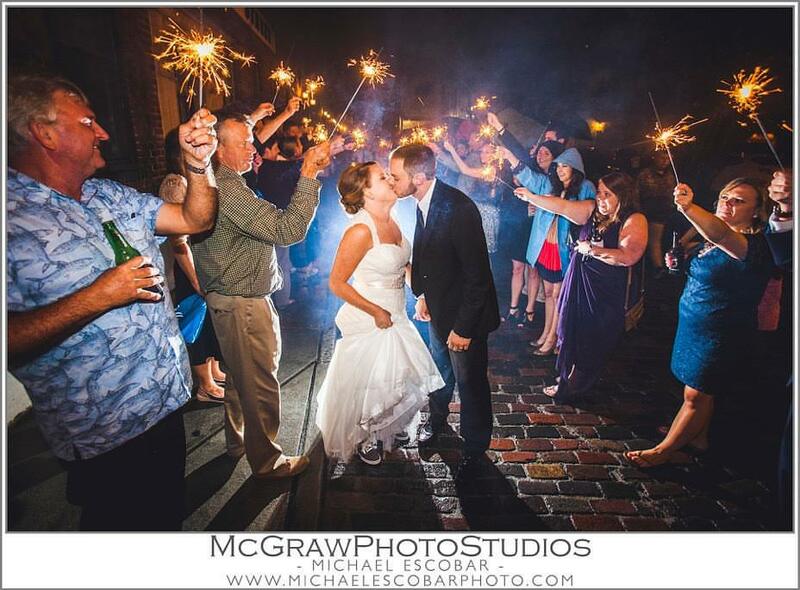 My husband and I would definitely recommend using Melissa to help you with your special event!!" "Melissa and the Knot Too Shabby girls are awesome!! Worth every penny, Melissa knows her stuff! They helped make my wedding day stress free, and down right perfect by handling the month of details, and coordination and set up on the day of. I can't say enough good things about Melissa and her crew....just use Knot Too Shabby, you won't regret it! I would give her 100 stars if this thing would let me!"